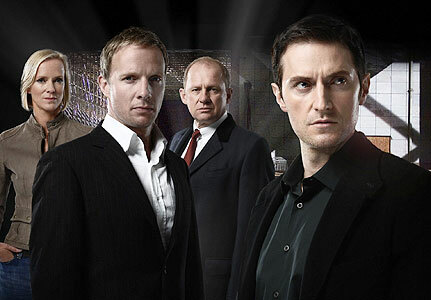 Just finished watching season 8 of Spooks, and I’m beginning to wonder why anyone would want to be a spy, given that they seldom survive long enough to collect their pensions. Helen Flynn (2002) – boiled alive in a deep fat fryer. Funnily enough, that clip – which drew a record number of complaints to the BBC – is not on YouTube. Zaf Younis (2007) – tortured and killed. His death happened offscreen after actor Raza Jaffrey left to pursue a career in Hollywood. With that grim toll in mind, it’s anybody’s guess as to who has survived the end of series 8. Here’s the last few minutes of the unbelievably tense season finale. If you watched it, I’m sure you’ll agree that it’s kept its quality to the last. If you haven’t, skip these clips and just start watching it properly from the first series. I’ll be starting on series 9 this week.